In the Tibetan army, Xiangyang Dalu watched what was happening on the mountain, his face green with rage. His hand gripping the hilt of his scimitar was shaking, the veins bulging out. "Everyone, follow me! I'll kill all of them!" A general did not lightly step out onto the battlefield. Xiangyang Dalu originally believed that the first wave would have been sufficient to break through the defensive line. To his surprise, not only had the defensive line not broken, his own forces had been thrown into chaos. His disorderly vanguard had now become the greatest barrier for his forces, utilized by the Great Tang to prevent further attacks. As he held his scimitar aloft, it let out a shrill cry, like that of a bloodthirsty beast. Xiangyang Dalu personally led the charge, bringing six thousand of his elites with him up the mountain. "Kill anyone who dares to stop us!" As a warhorse galloped, a head went flying into the air. With the general present, the chaos on the front lines had greatly subsided. Xiangyang Dalu led the charge, leaving a trail of dust as he headed for the summit. "Third, Fourth, and Fifth Square Formations should be ordered to retreat! "Commandant Xu, is it ready?" w.a.n.g Chong stood on a rock. Before Xiangyang Dalu had even begun his charge, w.a.n.g Chong had already issued his order. Xu s.h.i.+ping lowered his head and reported, "Milord, everything is ready!" But in truth, he had no idea what exactly he had been doing. w.a.n.g Chong's tactics seemed completely different from traditional ones. A ma.s.sive Halo of Thorns expanded from under Xiangyang Dalu's feet. Wrapped in an astounding power, Xiangyang Dalu and his hundreds of cavalry crashed against the st.u.r.dy defensive lines like a meteor. No person or defensive line could stand up to this power. As a Profound Martial realm expert, Xiangyang Dalu was second only to Bachicheng. There were certainly experts who could stand against him, but not these True Martial realm Tang soldiers. Xiangyang Dalu planned to use his own strength to open up the battlefield and crush this defensive line. "Kill them all for me!" Xiangyang Dalu roared in Tibetan, his ruthless voice resounding through the sky. At this moment, Xiangyang Dalu would even kill a G.o.d or Buddha if they dared to stand in his way. But then, something completely unantic.i.p.ated happened. That hardy rock of a defensive line suddenly began to retreat. As if some invisible knife had cut it open, a large opening suddenly appeared in the dense defensive line. And this opening was rapidly expanding. Even someone as richly experienced as Xiangyang Dalu couldn't help but be stunned. In all his years in the army, he had never once encountered such a situation. On the fierce battlefield, such an opening was fatal! However, despite Xiangyang Dalu's surprise, his horse did not slow. That opening that seemed to naturally open up before it made that highland steed almost instinctively charge in. "Hmph, I don't care what you're up to, but if you dare to open such a gap in front of me, you're only seeking death!" A cold light shone in Xiangyang Dalu's eyes. Not only did he not attempt to slow his horse, he urged it on. For infantry to dare to open up a gap in their formation while fighting cavalry was suicidal. To all types of cavalry, a single gap in an opponent's defensive line was enough to immediately destroy the rest of it. In Xiangyang Dalu's view, it was utterly childish for these Tang soldiers to do such a thing. Horses neighed as Xiangyang Dalu instantly led his army into the gap. The Tang army parted like waves, but when Xiangyang Dalu saw what had been hiding behind that army, he paled. At his level, very little could cause him to lose his nerve, but this was certainly one of them. That forest of s.h.i.+ning lights on the slope caused Xiangyang Dalu's expression to instantly change. Behind the defensive line were more than one hundred ballistae. These ballistae, carved with all sorts of powerful inscriptions, from left to right, from front to back, were all pointed at the Tibetan army behind Xiangyang Dalu. Xiangyang Dalu roared in anger, a terrible grimace on his face. He had never expected that the Tang army's voluntary retreat had been concealing a trick, a trap, a trap made of ballistae. The whole world knew of the Great Tang's ballistae and their ability to pierce through Stellar Energy. Yet if there had only been one or two, Xiangyang Dalu wouldn't have cared. But more than a hundred ballistae were not something that Xiangyang Dalu could ignore. More importantly, the Tang army had clearly been preparing them for some time. By the time he saw the ballistae, they had all been readied to fire, leaving no chance of dodging. It was impossible to describe that sudden transformation. When those hundred-some ballistae simultaneously fired, even the heavens dimmed. The air vibrated as those mechanisms triggered, drowning out the sounds of fighting elsewhere. Thick ballista bolts, their tips glistening with a sharp light, shot toward the Tibetan cavalry in the gap like scythes of the G.o.d of death. From top to bottom, left to right, these ballista bolts cut off the retreat for these Tibetan cavalry and left them nowhere to dodge. Not even an expert like Xiangyang Dalu had much s.p.a.ce to maneuver, much less the ordinary soldiers behind him. This cruelest of sights created a most gruesome beauty. Ballistae were the most terrifying weapons on the battlefield. Even the famed plate armor of Ü-Tsang was no match for this many ballistae. It crumpled like paper, putting up no resistance. w.a.n.g Chong's order to open up a gap had baited the Tibetan cavalry in and now created a most dreadful sight. This sort of drawn-out cavalry formation in such a narrow area allowed the Great Tang ballistae to work at maximum effectiveness. As bones and blood flew everywhere, Tibetans were cut down like weeds. It took only a few moments for at least seven hundred Tibetan cavalry to be felled without a groan. No one had ever used ballistae like w.a.n.g Chong had, and no one had ever pushed the power of ballistae to this level. More importantly, even Xiangyang Dalu had been caught in w.a.n.g Chong's trap. Bolt after bolt cut through the air, all aimed at Xiangyang Dalu, sealing the s.p.a.ce around him. On such short notice, Xiangyang Dalu had no time to dodge. He could only push the Stellar Energy in his body to the limit and hope that it could stand against this storm of attacks. The attack just now had been indescribable, and Xiangyang Dalu, who had been leading the charge from the very front, suffered the brunt of the attacks. In truth, w.a.n.g Chong had also aimed the majority of attacks at this valiant general of Ü-Tsang. One bolt after another—each carrying enough force to shatter stone, puncture through the thick Tibetan plate armor, and kill seven or eight cavalry in a line—began to crash down onto Xiangyang Dalu's wall of Stellar Energy. In front, behind, to the left, and to the right, the attacks crashed down on him like a rain of fireworks. At least seventy ma.s.sive ballista bolts struck Xiangyang Dalu's Stellar Energy wall, but all of these incomparably fierce bolts were stopped by that invisible wall before they could even touch him. Xiangyang Dalu's seething Stellar Energy barely stumbled before this barrage. Not one of these seventy to eighty ballista bolts had been able to pierce through his Stellar Energy. However, the famous ballistae of the Great Tang were not easily blocked. Although Xiangyang Dalu had managed to block them, he could feel the Stellar Energy in his body being rapidly exhausted, his face paling with it. In but an instant, Xiangyang Dalu had lost two-thirds of his Stellar Energy, even though he was completely uninjured. Xiangyang Dalu's complexion was ashen and panicked. For the first time, he felt fear. These more than seven hundred elite cavalry were his personal guards, following him wherever he struck, the best of his tribe and some of the best under General Huoshu Huicang's command. They had partic.i.p.ated with him in this war to exterminate the Tang army, but in this moment, these subordinates who had wholeheartedly trusted him had died without even a groan. They had once hunted down countless brave soldiers of the Great Tang, and were capable of fighting tigers and capturing dragons, but they had been as fragile as paper before these ballistae. He might have been able to dodge those bolts if they had come one at a time, but his adversary had not given him this chance. Seventy or eighty bolts had come at once, expending two-thirds of his Stellar Energy in less than a second. In his many years as a soldier, he had never encountered such a formidable opponent. Even though he hadn't even seen his enemy or even figured out who they were, Xiangyang Dalu began to fear them. That attack that had lasted for less than a second had utterly shattered his arrogance. At this moment, the valiant and pugnacious Xiangyang Dalu began to think about retreating. "Hmph, since you've already come in, are you still thinking about leaving?" Xiangyang Dalu found it impossible to breathe, his entire body suffocated. His face ghastly pale, he felt for the first time the shadow of death! A scream cut through the mountains and then was suddenly cut down. Time seemed to stop, and all the Tibetans from the middle of the mountain down to the foot began to show expressions of fear. They were no strangers to that voice. It had been Xiangyang Dalu's scream as he faced his end. The battle had not even gone on for fifteen minutes, but the distinguished Xiangyang Dalu of the Ngari Royal Lineage had already died while charging up the mountain. It had all been finished so quickly that Xiangyang Dalu had not even had a chance to run. In this moment, the brave and ferocious Tibetans began to be afraid. It was only now that they suddenly began to notice that this Tang army was completely different from what they had expected. Bachicheng's eyes almost popped out in rage as he saw Xiangyang Dalu vanish from the battlefield like a firework. His fists were clenched, the veins on his arm bulging. He didn't dare believe his own eyes. Bachicheng had not even mentally prepared himself and Xiangyang Dalu had died. "Useless trash, you've truly disappointed me!" The fires of rage seethed in Bachicheng's heart as he howled out between his clenched teeth. The first emotion Bachicheng felt upon Xiangyang Dalu's death was not sorrow or defeat, but explosive rage. There was no doubt that Xiangyang Dalu's incompetence was difficult to accept. In this campaign, Great Minister Dalun Ruozan and Great General Huoshu Huicang had left three valiant generals behind. Among them, Xiangyang Dalu had been the closest. This was why Bachicheng had summoned him. Bachicheng had once had high hopes for Xiangyang Dalu. He hadn't expected him to fail so easily! You're Read The Human Emperor Chapter 512 online. If you find any errors or translatation mistakes, please let us know so we can fix that as soon as possible. You're reading The Human Emperor by Author(s): Huangfu Qi,皇甫奇. 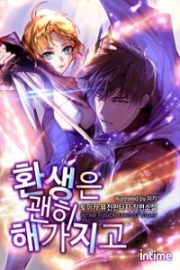 This novel has been translated and updated at LightNovelsOnl.com and has already 1111 views. And it would be great if you choose to read and follow your favorite novel on our website. We promise you that we'll bring you the latest novels, a novel list updates everyday and free. LightNovelsOnl.com is a very smart website for reading novels online, friendly on mobile. If you have any questions, please do not hesitate to contact us at [email protected] or just simply leave your comment so we'll know how to make you happy. Current Time is 19-Apr-2019 16:30:34 PM.